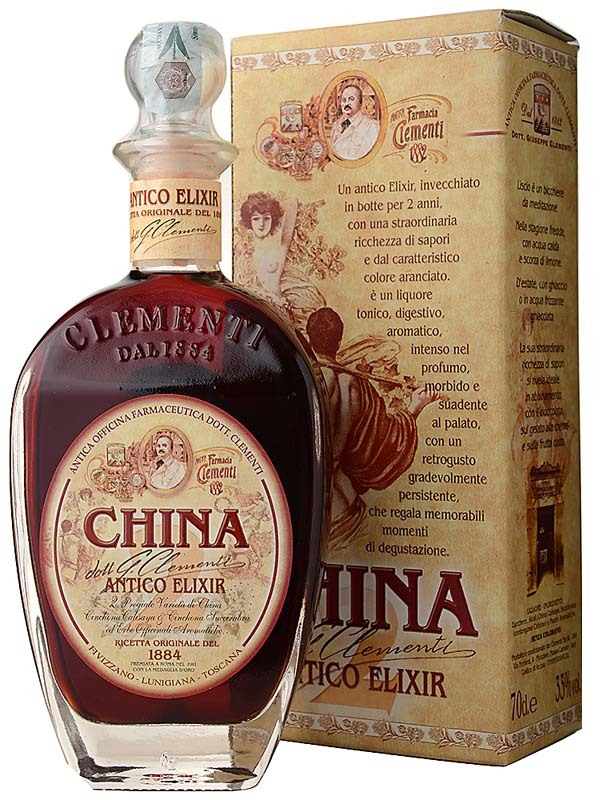 Amaro Clementi is a digestive quinine cordial made with cinchona bark from South America, bitter orange peels, medicinal herbs, sugar and alcohol. There are hints of citrus and caramel aromas throughout, leaving the color similar to an exotic wood. It has a well rounded balance between sweet and slightly bitter, containing a creamy mouthfeel. This liquor is aged for two years. The flavors perfectly combine with chocolate, ice cream, pastries and dried fruit. It can be consumed hot or cold according to preference.